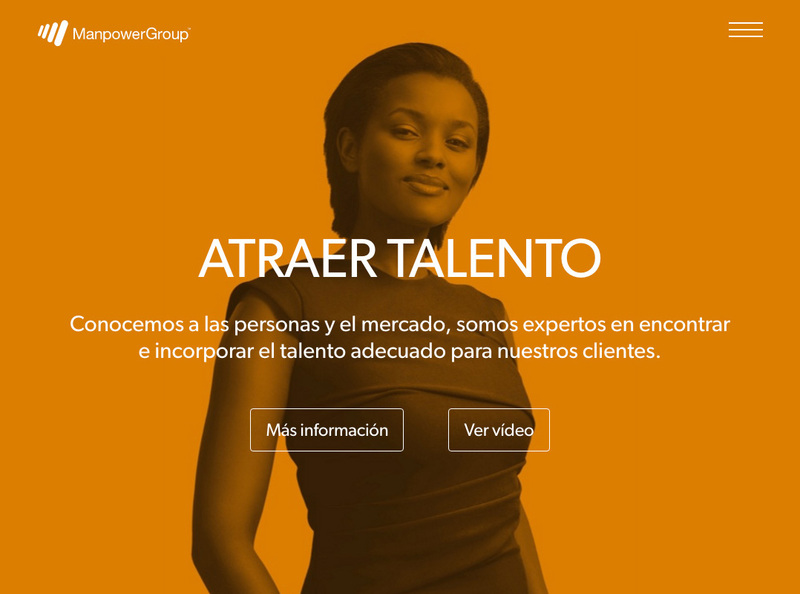 ManpowerGroup is a multinational company which offers many services and consultancy in the human resources field 4000 companies just in Spain. 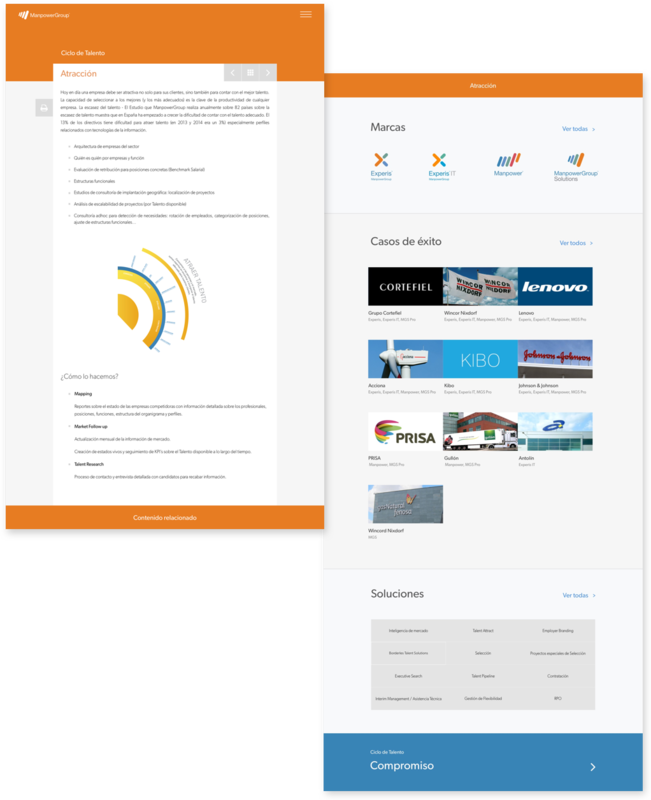 Manpower´s sales department needed a tool that would serve to show its customers the different categories of their work efficiently, and trusted us for the design and development of a Web App. Analysis of the information. Design. UX / UI. Web App development. ManpowerGroup charged us an application synthesising all the “Know-how” of the company. We design and develop a web app fully focused on the sales department. A powerful communication tool for the company to surprise and engange their prospects. Related content, hierarchies and structuring of information are the key and the basis of this project. We opted for a simple design and smooth navigation, where we give a leading role to the corporate colors, linking with the main concepts used by the company. We developed the UX hand in hand with the professionals of Manpower. We identify different profiles within the sales department and what were their favorite strategies when submitting projects. 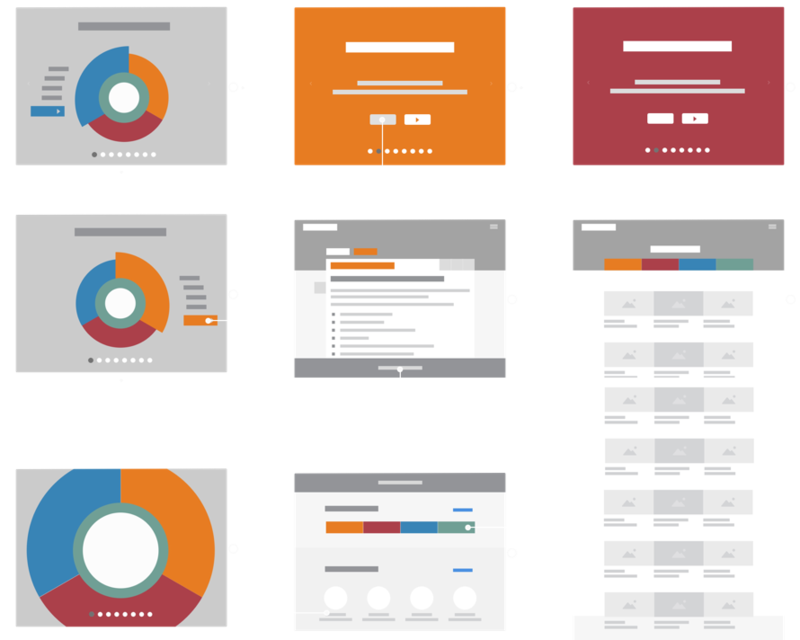 We designed workflows tailored to each of these profiles. Now the company salesmen can access any content related to any area of "talent cycle" in three easy steps in a systematic and orderly manner, improving productivity. 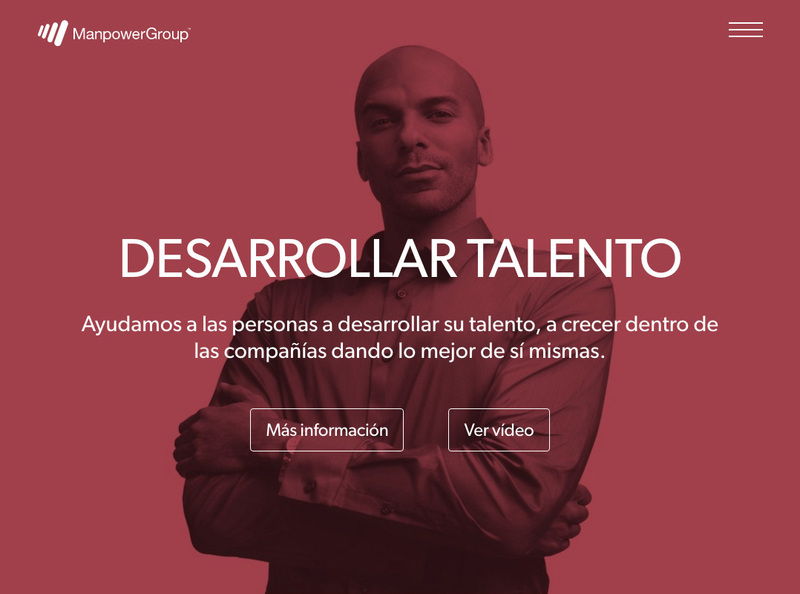 We have designed and produced a commercial tool to help Manpower Group to grow a little faster. A complex mechanism, simplified for maximum efficiency, designed with and for the sales department of one of the world's largest human resources companies.